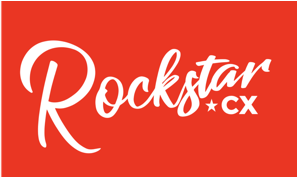 At Rockstar CX we help companies deliver 'Rockstar Customer Experiences' through coaching, training and workshop facilitation. Do you need a rockstar to make your event go off with a bang? Well, you've come to the right place. Our founder James Dodkins is available for talks on all subjects customer experience and culture related. Highly engaging and full of content James will rock the show and leave your audience thrilled and wanting more. Ask about his 'Rules For Rockstars' keynote filled with stories, live music and audience participation.